The truth is that I was pleasently surprised by Truth in the Southside. 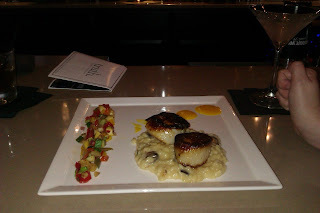 I had no idea to expect from a fancy looking bar just off of Carson Street that is very close in proximity to the lively but slummy Jack's Rose Bar. The $5 manhattans were strong, the sliders were incredible and the ambiance was quite charming. (Exposed brick, high ceilings, waitresses you would bring home to your mother.) Some old folks enjoying their dinner in the separated dining room even went out of their way to recommend the restaurant to patrons passing by on the street - this does not happen often in my experience. 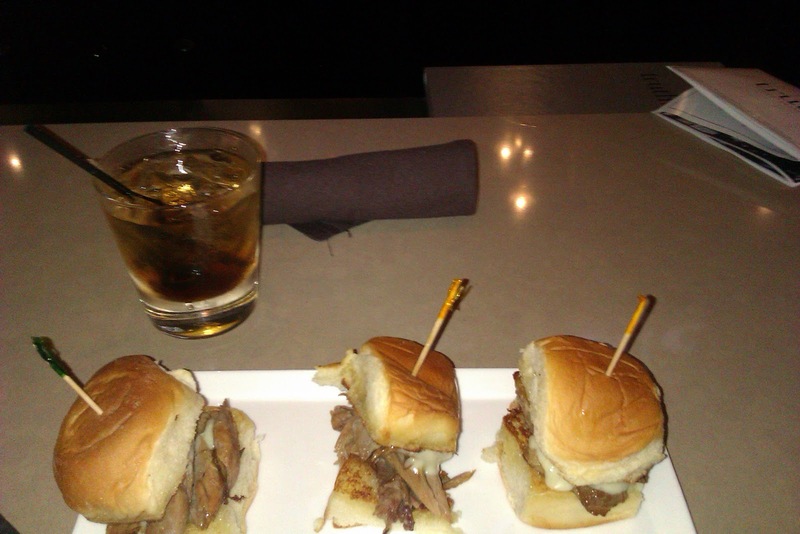 The duck confit sliders, pictured above, were truthfully delicious. The duck had a wonderful flavor and texture and the roquefort cheese was a very pleasant addition. I actually enjoyed the beef tenderloin slider I tried even more. It was easily some of the most tender beef I've been served anywhere in Pittsburgh. The slider fillings were top notch, but I believe there is some room for improvement on the choice of bread. Hawaiian rolls just aren't appropriate for all occasions.